My hair is the perfect accessory to complete the overall look. The hustle and bustle of life and the constant use of chemicals on the hair, are the main culprits for my hair problems. In order to maintain my hair at its tip top condition, monthly scalp and hair treatment is essential to keep problems at bay. 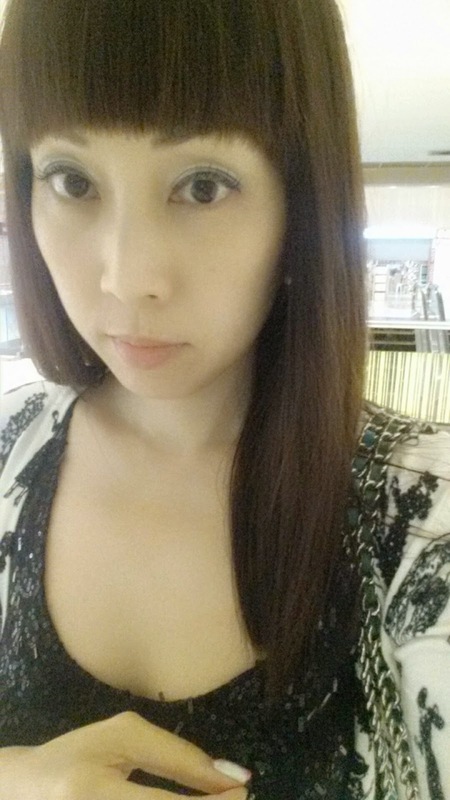 When Wendy from Easels was raving to me about the amazing effects of the Shiseido Ultimate 5-step Reconstruction Treatment, I had to give it a try! Products that would be used for the Treatment were displayed nicely on the trolley. Truly professional and premium. Step 1: The designated Shampoo was mix with hot water. 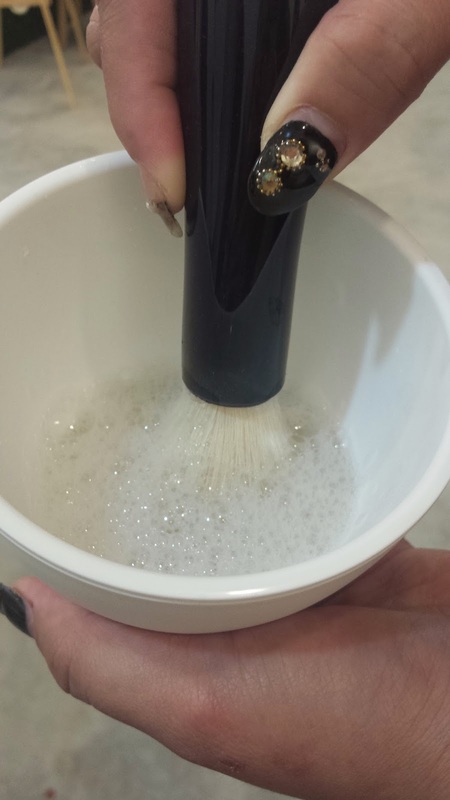 The mixture was whisked with a brush to become foamy. The stylist applied the foamy mixture onto my hair. This removed all obstructive elements attached to the hair surface. Hence, hair felt very dry after washing off. 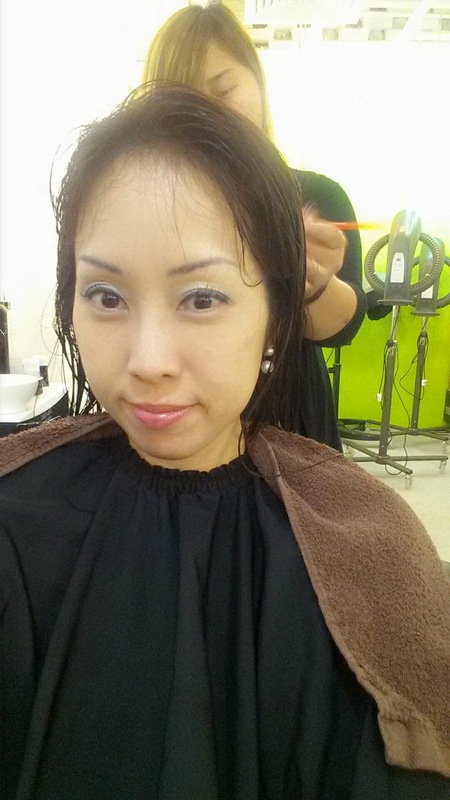 Step 2: My hair was considered low damaged as I did monthly hair treatments. 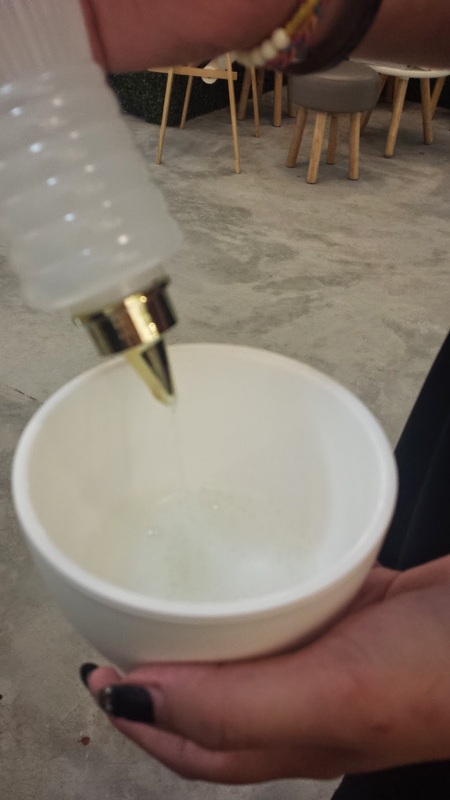 In the solution, it contained an agent "Ion Navigator" which was uniquely developed by Shiseido. It helped to eliminate calcium ions pile-ups rooted deep inside hair while preventing re-absorption from taking place. 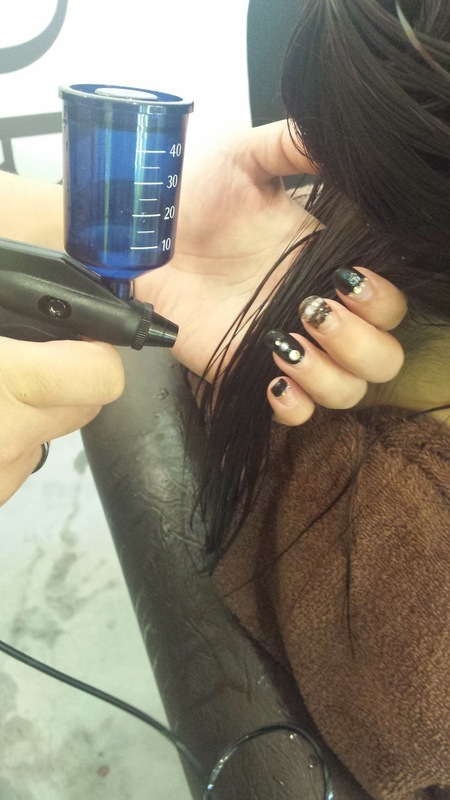 See the special gadget used to spray the solution to the hair. So cool! This was doing deep detox to the hair. What? Even hair needs to detox too? The amazing triple-layer micro-coating cream would help to protect the hair from sebum, water (used for daily shampooing) and friction (static electricity). Hair felt airy, shiny and smooth after it was blown dry. It was such a joy to touch my hair. The effect was comparatively like what you achieved with re-bonding. The entire treatment took an hour to complete. 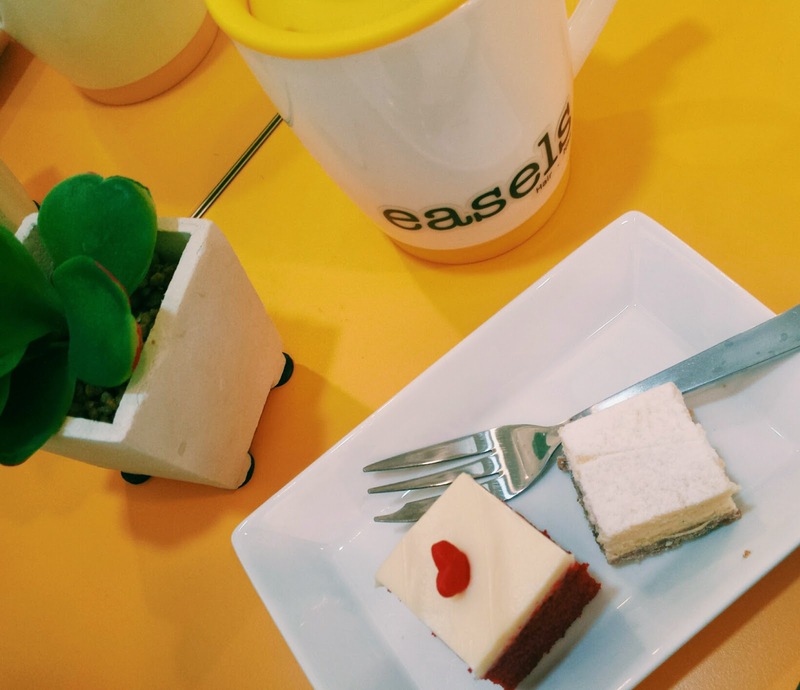 Whilst doing my treatment, I was also enjoying my hot Milo and artisan cakes with compliments from Easels. 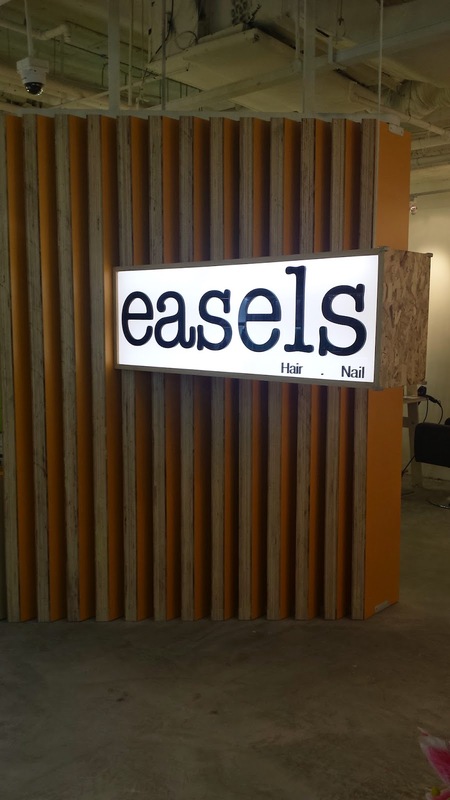 The team at Easels paid attention to every little details. 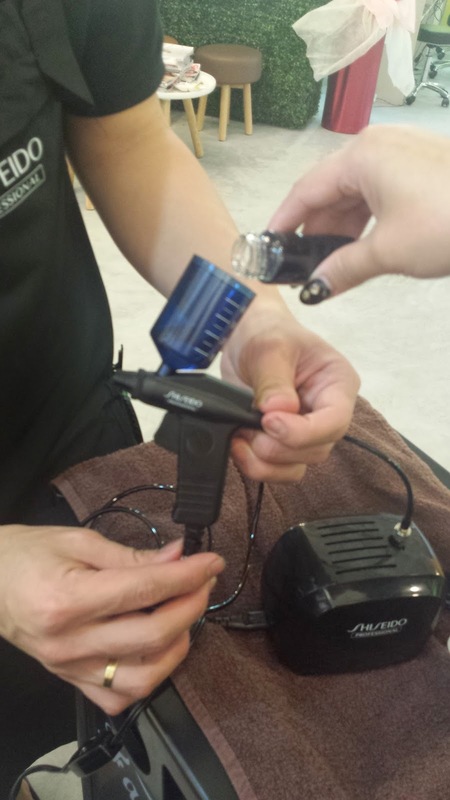 Knowing most customers will sit through hours for major hair overhaul or will rush to the salon after work, drinks and cakes were served on the house to curb the hunger pangs. I was truly impressed. 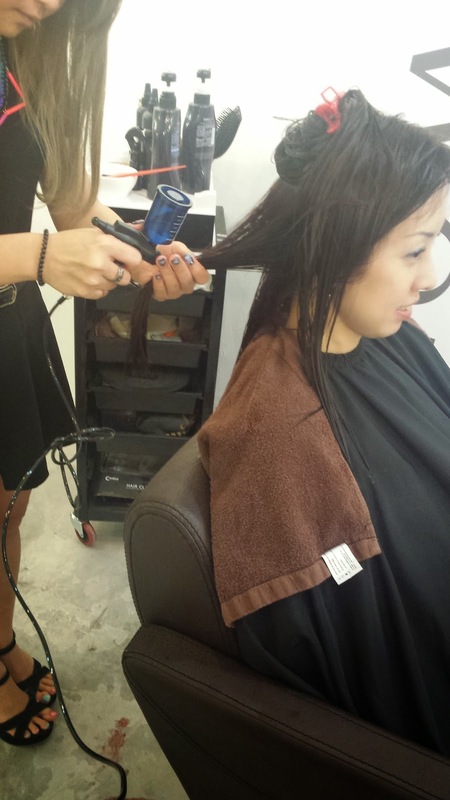 For a head of crown glory, do head down to Easels for a fun hair pampering time. 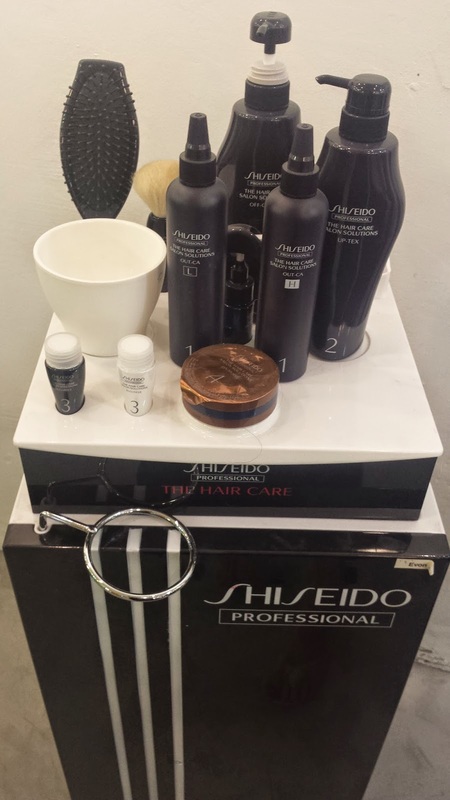 Shiseido Premium 5-Step Treatment is now having a 20% discount off their usual price of $248 till 31 September 2014. Just quote "Ms Oinkee" to enjoy the promotion.